Your upholstery is exposed to a lot of dirt and bacteria. Every time when you come back from home, one of the first things is to sit on the sofa and have some rest. Not to mention the mattresses and the stools. Their sanitation is important for the health and their nice look. But it is a tricky job and you need to rely on professionals like us. Benefit from our upholstery cleaning services in North London and have peace of mind that everything will sparkle. We are the best provider and our great reputation and immaculate background is the proof of that. Over the years of operation, we managed to verse our skills and knowledge, so that you don’t need to worry about the delicate surface. We work with special attention and protection of the fibres. Our services are carried by our flawless cleaning team, which consists of people with unrivalled competence and desire for work. They put every effort to get the job perfect;y done and always take the extra mile to make sure that everything is in perfect condition and you are satisfied with the achievements. The cleaning equipment at our disposal makes our work much more efficient in every aspect. We never use any chemicals and our drive behind that is to protect you from the cruel influence of the chemicals. We are the beasts in this industry in all North London. There is no too big challenge, which we cannot deal with. We have always managed to achieve the complete satisfaction of our customers, because your opinion is important for us and we comply with it. Provide long-term function of your upholstered furniture with our help. Let us show you the pristine condition of the upholstery in your home and you will forget about the idea of replacing the furniture. 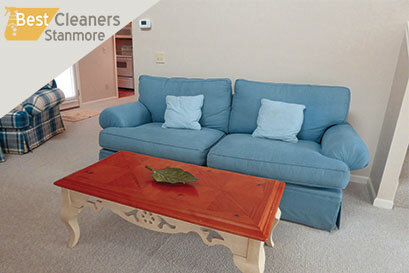 Our cleaning techs will clean every stain of any origin and disinfect the soft furniture with steam-based method. At last, we apply fabric protector, which will create invisible barrier, which will prevent the fibres to absorb the spills and dirt. We would like to be sure you have all the needed information, before you book our upholstery cleaning services in North London. Get in touch with our customer support centre, which is around-the-clock available. Our friendly representatives will explain everything in details and provide you with fair personal estimate for free. Let us close to you and we won’t let you down!